On January 2nd, Josepha posted the call for a brainstorming thread among all team members, deputies and organizers on what our Goals for 2017 should be. Whether you have great ideas about streamlining deputy work or you’ve got a running list of updates you’d like in the documentation, this is the time to share! And we shared! Josepha pulled all the ideas into a spreadsheet so we can identify the common goals. There were 70 ideas from 22 individuals. Thanks to Josepha for collecting all comments in a Google Spreadsheet. Some of the ideas and tasks listed in the comments are already on their way: for instance, CampPayments, SupportPress replacement, Tool for Speaker session planning (MIA), Self-training initiative. Many comments were clustered around improving existing tools or processes. 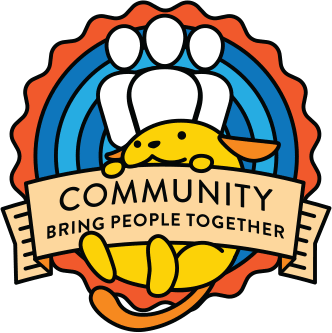 There were also quite a few new ideas, around WordPress event formats, communication initiatives, ways to support local events with concerted marketing efforts or to strengthen the community of organizers for both Wordcamps and Meetups. Here is a summarized, organized list. Thanks to @chanthaboune and @bph for helping to consolidate our 2017 goals thread! Whew, what a job! What a great list! Looking forward to being involved, especially where events are concerned! Thanks @chanthaboune and @bph and everyone who is doing soooo much for the WordPress community around the world. This also reminds me that I have to post about the monthly vetting sprints and a refresh course for all deputies for triage and maintenance of the Meetup Spreadsheet 🙂 On it!